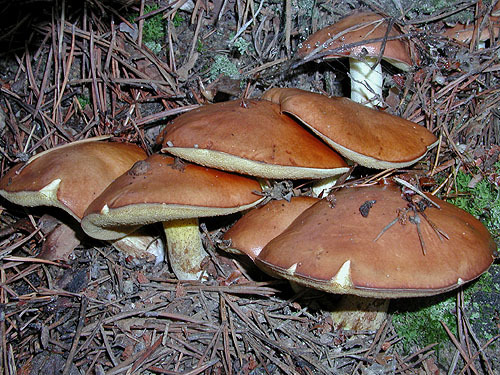 Cap up to 10 cm, at first hemispherical then expanding to convex, ochraceous to brownish or orange brown, viscid when wet. 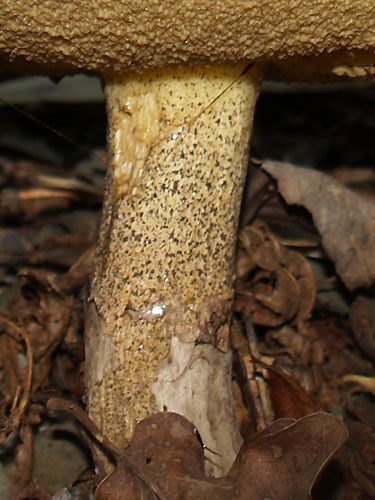 Stipe, cylindrical, often tapering below, more or less yellowish, without ring, covered with numerous small whitish to brownish glandular dots. Flesh whitish. 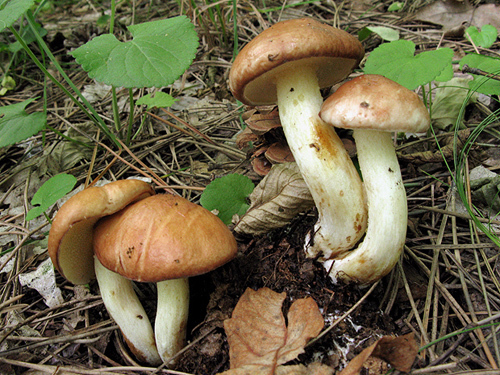 Tubes pale yellow to olivaceous yellow. 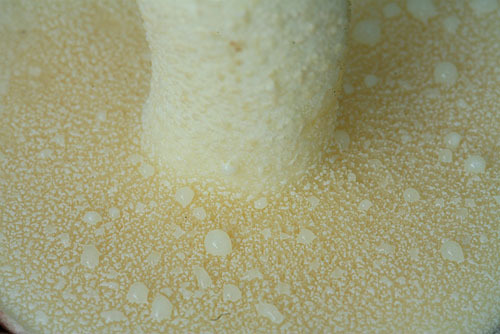 Pores fine, rounded, pale yellow to olivaceous yellow. Smell not distinctive. Taste not distinctive. 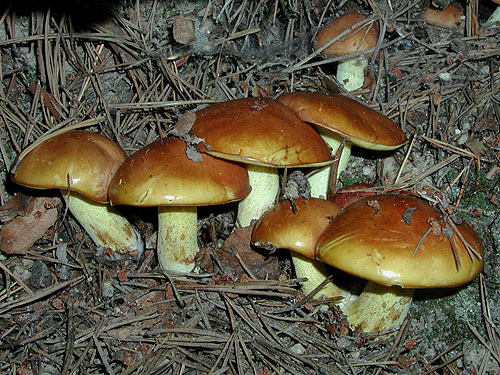 Spores 8–10 × 3–4 μm. Similarity. 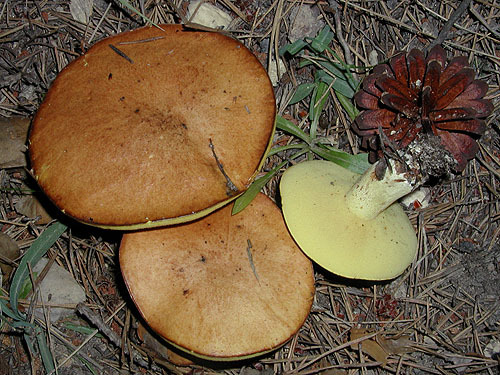 Apparently similar to the southern Suillus mediterraneansis and distinguished on the account of the whitish (and not yellowish) flesh. 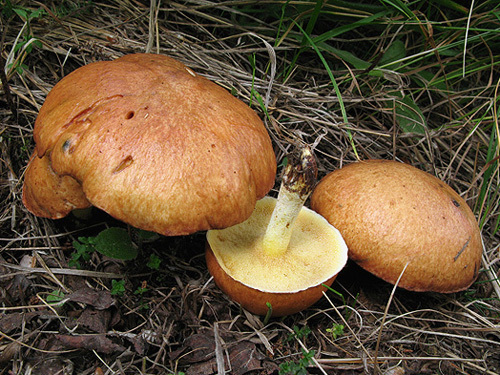 Probably sometimes confused with Suillus collinitus, the later however has very distinct pinkish colour at the stipe base and usually darker cap.